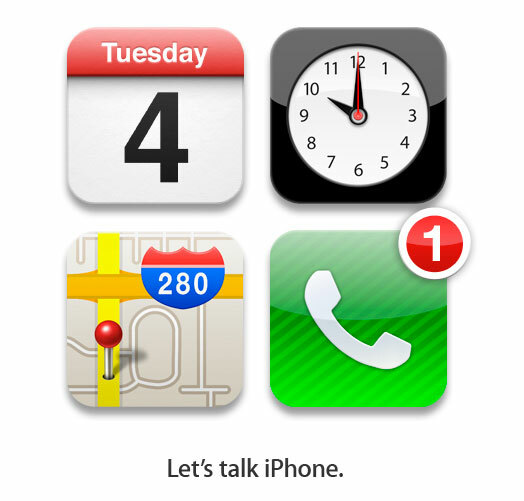 The iPhone 5 invitation is made up of icons from Apple iOS operating system that powers the iPhone. It includes a Calendar icon with the date of Tuesday, Oct. 4, a Clock displaying the time as 10:00, the Maps icon pinpointed on the company's Cupertino headquarters, and a Phone displaying one missed call. "Let's talk iPhone," it reads. Two new studies have revealed rising interest in Apple’s forthcoming iPhone 5 from North American and UK mobile users at the expense of rival mobile platforms from Google and Research in Motion. 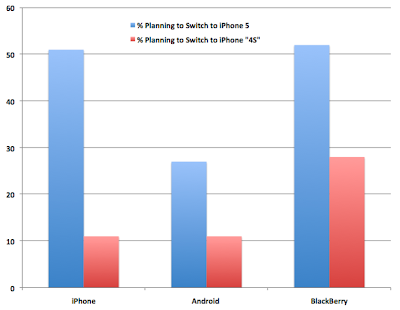 One study conducted by mobile ad network InMobi reveals that 41% of mobile phone users in U.S., Mexico and Canada want to buy the iPhone 5 in the future. 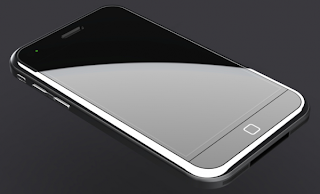 Of those interested in the device, 50% would purchase it in the first six months after launch. The same survey suggests that customer interest will be significantly lower in case Apple announces a softer iPhone update, “akin to the 3GS version of the iPhone that Apple released in 2009.” In this instance fewer than 15% of mobile users would buy such a device. Analyzing customer retention and new users, InMobi says its data indicates that 51% of current iPhone owners would switch to the iPhone 5 but that only 11% of them would choose a so-called iPhone 4S. As for current BlackBerry & Android users, 52% and 27%, respectively, said they would choose the iPhone 5. 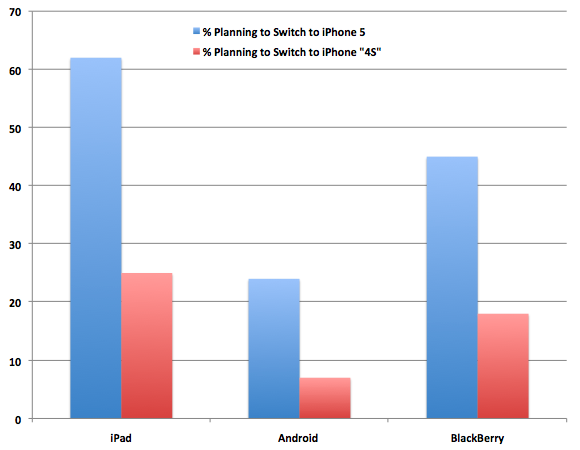 In the event Apple announces only an iPhone 4S model, fewer BlackBerry and Android device owners would be likely to make the switch to iOS – 28% and 11%, respectively. In a second study covering the UK, research firm InMobi found similar responses.  For instance, 39% of mobile users in that study said they want to buy an iPhone 5 with 48% of them committed to purchasing the device in the first six months from launch. Only 12% of them said they'd buy an iPhone 4S. At the same time, 62% of UK iPad users said they plan to purchase a iPhone 5, while 45% of BlackBerry users and 24% of Android device owners said they would purchase the upcoming handset. 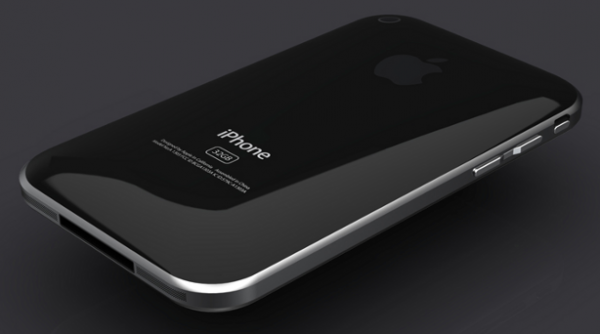 Interest in an iPhone 4S was also significantly lower in the UK market, at 25%, 7% and 18%, respectively.